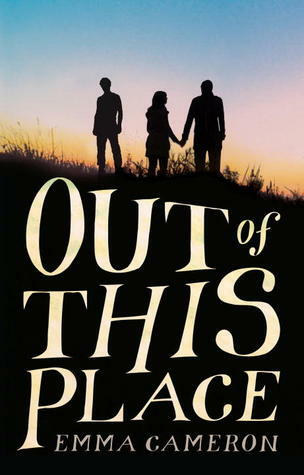 A powerful novel in verse captures the voices of three teens as they struggle against hardscrabble realities — and move toward their dreams. Luke spends his days hanging out at the beach, working shifts at the local supermarket, and trying to stay out of trouble at school. His mate Bongo gets wasted, blocking out memories of the little brother that social services took away from his addict mom and avoiding the stepdad who hits him. And Casey, the girl they both love, longs to get away from her strict, controlling father and start anew in a place where she can be free. But even after they each find a way to move on and lead very different lives, can they outrun their family stories — and will they ever be able to come together again? Set in Australia and narrated in alternating points of view, here is an affecting look at the evolving lives of three friends from talented new author Emma Cameron. This book was first published a year ago under the name Cinnamon Rain. The new title is much more fitting. When starting to read this story, I didn’t think I would like it. It is written in prose (I don’t care for), and it lacks a lot of details (which I love lots of). The time went by quickly through out each person’s story. I did end up enjoying Out of this Place. You follow the lives of Luke, Casey, and Bongo. They are 3 friends in the last few years of high school in Australia. They each follow their own paths through life. Making decisions that affect how their lives will turn out. Itis a wonderful story of growing up, leaning about making decisions that will affect your life. All 3 characters comes from a different background and want out of the situation they are in, for different reasons. They take their paths in completely different ways, and look for where they belong.